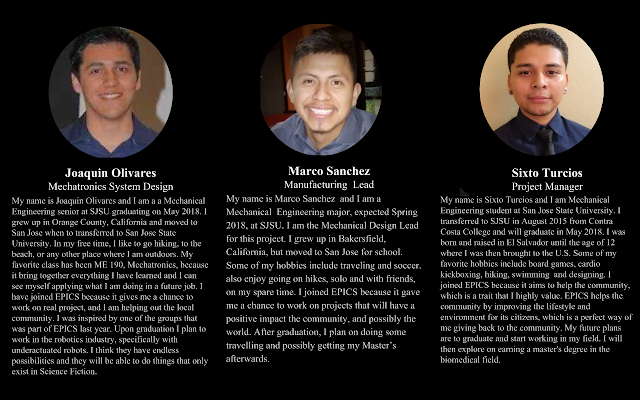 We are a team from the Engineering Projects in Community Service (EPICS) program at San Jose State University. The purpose of EPICS is to expose students to a multidisciplinary class environment while teaching the students about projects that benefit the community. Our team was originally assigned to develop a mobile app for the Spartan Superway, but was changed to another project due to the team's technical background. The Spartan Superway is a solar-powered automated transit network (ATN) concept that is currently in development. 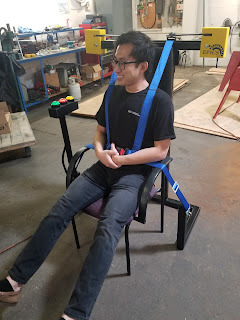 The project assigned to our group was to develop a wheelchair restraint system for their pods. 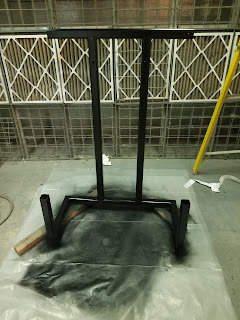 Our project is a new idea that has not been done in previous years. The Spartan Superway Wheelchair Restraint system is a fully automated system that helps the wheelchair users by providing them with a comfortable, safer and faster system that activates with the touch of a button. This automated system can lead to an improved and satisfactory outcome for wheelchair users when it comes to public transportation. The Spartan Superway Wheelchair Restraint system should not only be a standard for the Spartan Superway but for other transportation systems as well.